Around the world, non-industrial cultures following an ancestral diet and lifestyle tend to be lean. When they transition a modern diet and lifestyle, they typically put on body fat and develop the classic "diseases of civilization" such as diabetes and cardiovascular disease. If we can understand the reasons why this health transition occurs, we will understand why these problems afflict us today. Research has already identified a number of important factors, but today I'm going to discuss one in particular that has received a lot of attention lately: sugar. There's an idea currently circulating that sugar is the main reason why healthy traditional cultures end up obese and sick. It’s easy to find non-industrial cultures that are lean and don’t eat much sugar, and it’s easy to find industrial cultures that are obese and eat a lot of it. But many factors are changing simultaneously there. We could use the same examples to demonstrate that blue jeans and hair gel cause obesity. If sugar is truly the important factor, then cultures with a high sugar intake, but an otherwise ancestral diet and lifestyle, should also be overweight and sick. Let’s see if that's true. Baobab fruit is largely sugar by calories. Year-round, 40-60 percent of the Hadza diet comes from sugar-rich foods: berries, baobab fruit, and honey. This is unquestionably a high-sugar diet, sustained year-round throughout life. The sugar they eat is all unrefined. So how fat are these people? In the same study, men and women had an average body fat percentage of 11 and 20 percent, respectively-- lean by any standard. Body mass index was 20.2 and 20.4 for men and women, also indicating leanness. There was not very much variability in body fat percentage between people. I think you’d be hard pressed to find an obese person among the Hadza. Blood pressure is also low in this population (2). 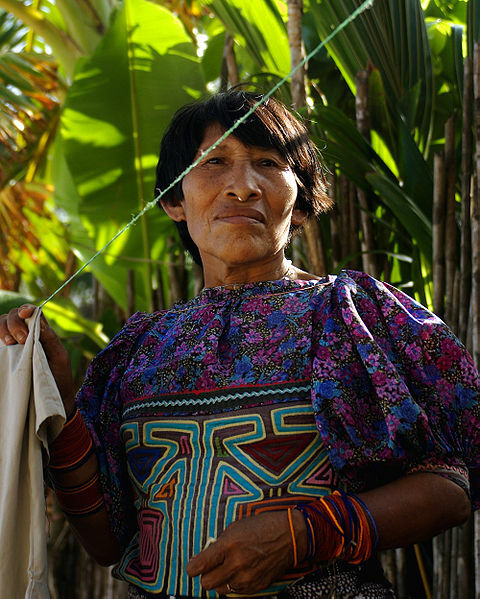 The Kuna are one of the first non-industrial cultures I wrote about on this blog back in early 2008. Many of them live on an island chain called the San Blas off the coast of Panama. Their diet is fairly traditional and centers around plantains, corn, cassava, kidney beans, coconuts, a variety of fruits, wild game, seafood, and chocolate. Their lifestyle also remains fairly traditional. But this culture has a vice: white sugar, sweetened beverages, and a small amount of baked goods, which they obtain through trade. Dr. Norman Hollenberg traveled to the San Blas islands to study the diet and health of this population, and published his findings in several papers. Let’s see what he found. Dr. Hollenberg and colleagues published the most detailed assessment of the Kuna diet in 2006 (3). Data were reported as servings per week. Among sweet foods, they ate 25 teaspoons of white sugar per week, added to the traditional cocoa beverage that they drank multiple times daily. They also had about four ounces per week of sweet baked goods (donuts and cookies), seven servings (8 oz each) per week of soda or Kool-Aid, and about 14 servings per week of sweet fruits (not counting the non-sweet fruits they ate such as plantain and pixbae). Adding it all up, by my calculations that comes out to approximately 542 grams of sugar per week, or 77 grams per day, split between refined and unrefined sugar. That’s not much less than we eat in the US (~100g/d), particularly if you consider that the Kuna are small people (avg height 4’11”; avg weight 112 lbs) and eat less total food than we do. So how fat are the Kuna? Dr. Hollenberg’s group reported an average body mass index (BMI) of 22.6, suggesting that they tend to be lean. There's not much variability in BMI in this population. They are also noted for their lifelong low blood pressure. A high-sugar diet is not sufficient to produce obesity and other disorders of affluence in humans adhering to a mostly traditional diet and lifestyle, particularly if the sugar is coming from unrefined sources such as fresh fruit. This is consistent with other reports of beneficial weight loss in people eating a whole food diet centered around fruit (4). That being said, I think everyone can agree that added sugar almost certainly plays a role in obesity and disease in affluent societies such as the US. Added sugars increase the energy density, seductiveness and palatability of foods, favoring fat gain. In large amounts, refined fructose-containing foods such as added sugar can also promote harmful metabolic changes. However, controlled diet trials have shown that this applies mostly in the context of excess calorie intake (which, to be fair, is the typical dietary context in the US). The broader point is that added sugar is part of a dietary pattern that also includes added fats, flavorings, refined and engineered foods in general. 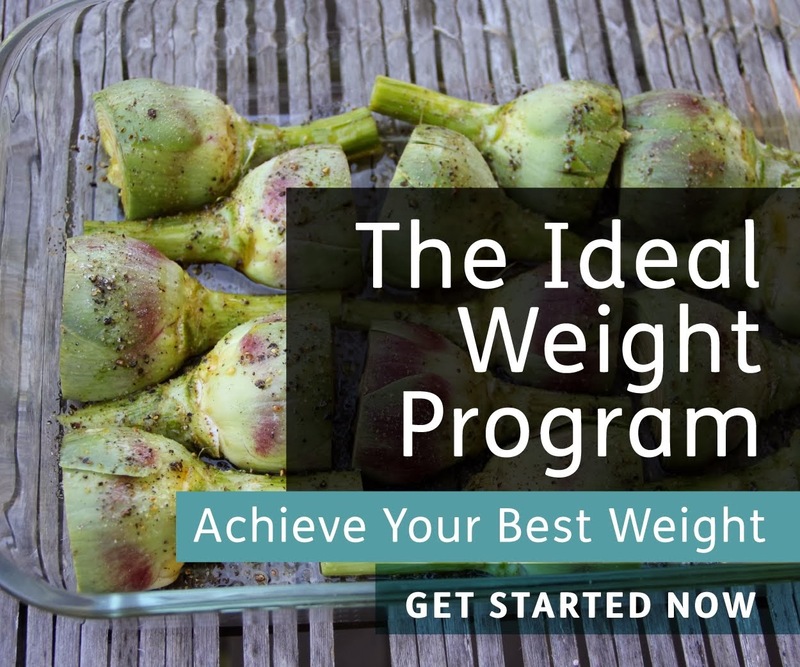 This pattern includes the fact that foods are easier to obtain than ever before, often require no work to prepare, and advertising and our cultural milieu encourage overeating. And that’s not even getting into the differences in lifestyle patterns such as physical activity and sleep between traditional cultures and our own, which also play an important role. Most people intuitively recognize the value of studying the diet and health of non-industrial cultures. Although we can never replicate their diet or lifestyle completely, these cultures offer us a template for avoiding obesity and metabolic disease. One of the things that has bothered me quite a bit over the years is the tendency to focus on cultures that confirm pre-existing beliefs, and ignore or downplay other cultures that do not. It's the easiest path, but it only leads to confusion in the end. I think we can learn a lot from these cultures if we keep an open mind. I hope this doesn't get misconstrued as racism of any sort, but I have noticed that the majority (if not all) of the cultures presented have been of colored people. I know medical conditions like sick cell anemia affect are almost isolated to african americans, so couldn't the same be true with different dietary regimes? If your point is that genetic differences can influence the response to diet, it's an excellent one. However, there is no population I know of that doesn't get sick on the industrial diet. Sorry the proof that sugar is not the cause is that other cultures that do not eat added sugar are not fat? Do they eat anything that spikes insulin nearly so much as HCFS? Once they are metabolically damaged, does the low carb diet provide a greater benefit then calorie reduction alone? Humans have done well both on a low fat, high carb natural diet, and on even a zero carb high fat natural diet. Not sure anyone ever disputed this. Its possibly our advice of "include a bit of everything" that to me is not represented in nature. In nature I cannot combine my seal blubber with apples or yams. I wouldn't have the option. Maybe we shouldn't even look at biology for the reason we are fat. Maybe the reason has more to do with upbringing. Traditional cultures are almost always raising their children not to take to much from nature. When you hunt and gather your own food you gain a sense of stewardship we currently lack. You do not waste. You do not slam it down with a 40 oz coca cola chaser. Maybe our whole obesity epidemic stems from lack of respect rather then any sense of reward or malfunctioning insulin. I am waiting for studies that compare "food attitudes" to obesity. I always wonder how relevant the per capita sugar consumption stats are. As they are merely an average of the total population, how much do they really tell us about the role of sugar in the metabolically deranged? Far more useful would be the sugar consumption of the metabolically deranged specifically. 1. 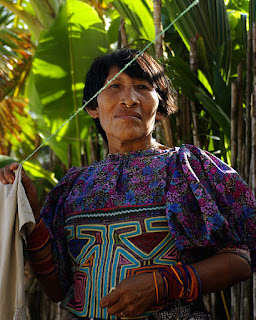 The Kuna are a group that probably has to move around, forage, hunt, acquire food, clean clothes, fetch water. 2. Studies that compare non-industrial diets to industrial diets that do not compare sugar in the form of grains is an incomplete study. I would counter that most of our (US collective) dietary sugar comes in the form of bread, tortillas, chips, whole grains, corn on the cob, mashed potatoes, breading on chicken, etc. If you count that in, along with sugar in the sucrose/sucrose-fructose combinations, I'm sure that we exceed almost everyone. Why is it so hard to find things without flour added to them in the store? Nowadays, I'm told, there is a growing middle class that eats at Western fast food places to signal status, and, probably not coincidentally, the incidence of obesity and diabetes has increased markedly, but back in the 1980's most Indonesians were lean. @tyler, when you google for "Some physiological effects of a mainly fruit diet in man." the first link is the PDF. By the same token, doesn't this suggest that donuts and cookies, soda and Kool-Aid aren't sufficient for obesity? Also, do you know how fatty their meat is? Unless it's extremely lean, the 30-40% by weight they seem to be eating much of the year should equate to a much larger percentage of their diet by calories. I think this post ties in well with the previous post- "Calories Still Matter." I just finished "The End of Overeating" by Kessler, which seems to echo a rough explanation of food reward (although I must agree with your critique on his need for an editor). I think its pretty hard to argue against a multifactorial explanation of obesity, especially with cases such as this. 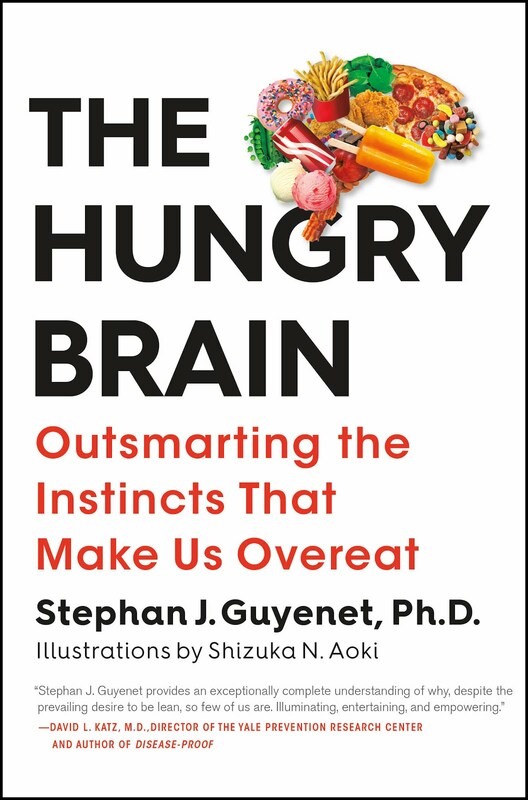 For those wondering about modern western cultures, Stephan has written a good amount about the French, although their diet has slipped somewhat over the years. Their portion sizes and attitude towards enjoying food are different than those in the US to say the least. As far as the food component of obesity, added sugars, refined foods, industrial plant oils, and other salient stimuli that make the food super rewarding/palatable seem to have a cumulative effect on increased calorie consumption, and thus obesity. Obesity and diabetes in different populations maps down to very different genes. These very small, isolated populations may have some kind of benigh "founders effect." Their harsh living conditions removed damaging genes from the small, in-bred population at some point. Since diabetes in Western Europeans maps to entirely different genes than diabetes in Central American native populations, and yet other different genes in Pacific islanders, and in Japanese, etc, etc, it's a mistake to draw any conclusions about Western Europeans metabolic issues based on these isolated populations with very different genes. You didn't mention smoking rates. Is it safe to assume that smoking rates were low? It was reaffirming to read about your point that an important component to this is the overall dietary pattern. Eating in cultural and social context is also important. The US SAD relies on "frequent grazing" - eating every couple of hours during the awake period. Did this population eat meals this way? Did they fall into ketosis overnight with a restricted eating time window? Did they choose refined foods with added sugar over their traditional diets or did they maintain the traditional diet and simply add western type food products to it? Do you believe that this confirms that carbs and fat don't fix? As i don't see them eating much fat? In previous articles you already mentioned that carbs and fat shouldn't be eaten together, but why is that? 2) Some bad stuff happends in your body leading to overweight? "Since diabetes in Western Europeans maps to entirely different genes than diabetes in Central American native populations, and yet other different genes in Pacific islanders, and in Japanese, etc, etc, it's a mistake to draw any conclusions about Western Europeans metabolic issues based on these isolated populations with very different genes." Jenny, I always got the impression based on your site that you think that you can't eat your way to diabetes anyway? Either way, I collect very old cookbooks and I'm often a little shocked by how much sugar recipes called from in the 1700s and 1800s. I don't think there was a diabetes or obesity epidemic then, though there were certainly health problems I'd rather avoid like gout. Interesting stuff, no doubt...but I do have a few of questions...is there any culture you know of that doesn't eat sugar and is fat? What do you think it would mean if you found one? What are your thoughts about the 'skinny overeater'--you know the one--the one they call naturally lean, or whippet thin, aka eat all they want and never gain weight? Is there any evidence for why this happens? Are these cultures good for study in this regard? Do you think there is a sugar + situation going? Meaning you need an entry level situation that is necessary, like sugar or flour, etc. + toxins, genes, etc. That is, perhaps sugar is not sufficient, but a necessary precondition? What are your thoughts on necessary preconditions for obesity? Do you have a blog post on this? Do you think it's simply a matter of calories, or in a similar vein, is it a calories + situation? So if I'm following this right: SG is arguing that a) sugar is not a big deal and b) HFCS and sugar are basically the same thing and c) you get fat because you eat too many calories, not because of what you eat. And ultimately you eat too many calories because the food tastes too darn good, ie it's fast food, ditto food, etc. Have I got this right? It's hard to follow all of the back and forths on the various health blogs without a scorecard. BTW to all the commenters addressing their comments to the blogger - comments are for the commenters. If SG wants to comment, he will. No need to shout at him over the rest of us plebes. does anyone know if Hadza have good teeth? with so much fruits? also i wonder if can isolate the local climate as a factor for a healthy diet. i have heard that we should eat "seaonably?" cause i only crave fruits & vegetables in hot summer. in winter, all i want is fat fat fat + tuber & some meat. ps. i hate the new google "captcha" took me at least thrice to read. Good work. Keep the community on its toes. Reposted to my FB page. lack of focus on: freshness and quality, shared mealtimes, and smaller portions. *Refined* sugar and grains are bad, but I honestly think refined vegetable oil is the worst of them all. Heavy metals, PCBs, etc. may be a significant portion of this problem in certain segments of the population, I think. The picture is certainly very complex and only in the past year or two have I begun to consider alternatives besides diet as being major factors. I think the breakdown of a traditional family lifestyle could turn out to be pretty huge. good post. In fact to prove your point, we do not have to go too far. Venezuela, Costa-Rica & Cuba have very high refined sugar intake and very low level of obesity and cardiovascular disease(well, atleast when compared to US). So, we do not really need a "paleo-solution" to explain this. The key theme is a diet-pattern. The population you, Stephen addressed, derivived most of their protein from unrefined plants. This is diagonally opposite to the West (compare to WHI-trial where the "low-fat" intervention group ate 75-80% of their proteim from animals). Unrefined starches and fruits obviously have properties which are anti-obesigenic, that's why we never see a fat person who would be a long-term sweet-potato and whole-grain oatmeal eater. Maybe, finally, we can stop talking about why we are or not obese and start talking about why we are ignorant to our over consumption as a whole. I'm curious if in both of these cultures the relative cost of the sugars vs whole foods. Two things. First, everything else that the Kuna eat, besides refined sugar, matters in the context of them getting diseases. We may eat as much sugar as the kuna, but we dont eat as much vitamins, Omega-3s, etc. Also, Stephan, I was curious, about the impact of AGEs on the Kunas. Since they eat a lot of sugar and carbs, do they age faster or have higher AGE formation? Is there any culture that has coconut as a significant component of their diet obese? @BSW - What culture eats a zero carb / high fat diet? Correct me if I'm wrong, but it is impossible to metabolize fat in the absence of carbohydrate. Then how do people burn fat when they're fasting? All you need to metabolise fat is NAD+, which is usually generated by carbohydrate oxidation in the citric acid cycle but can also be generated by ketone body conversions. But also there is such a thing as gluconeogenesis, where the body makes glucose from the glycerol in fats. Hadza honey contains bee larvae. And they don't find it every day. It can be up to 30% calories of males, but longer periods are spent without it. It's the "constant feeding" model in the west that makes carbohydrate so toxic; any analysis that doesn't address diet as a 4-dimensional phenomenon misses the point. How can you eat excess calories when you will burn them off, or not, in the future, which hasn't happened yet? Do you know exactly how much effort will be required before you eat again? Then how can anyone ever eat the right number of calories, unless there is flexibility in the system somewhere? I have a hypothesis that needs testing: fat combined with sugar is fattening. Either in isolation is tolerable. Fats are rarely found with sugar in nature save as milk. Milk is natural for babies, but is an innovation for adults. Furthermore, the sugar in milk is lactose, not fructose or glucose. Outside of milk, I can think of little in the way of natural food which has fat and sugar together. Coconuts have a bit of sweetness. Other nuts are not sweet. Animal products other than milk are pretty much sugar free. Conversely, few fruits have significant fat, and those that do (avocados) are not sweet. Chocolate cake, ice cream, or a Big Mac with a coke combine lots of fat with sugar at the same time. These might be fattening. Imagine that you find a population surviving on 1000 kC per day from traditional foods, with problems caused by energy intake inadequate for their needs. You then supply them with 500 kC daily from refined sugarr. Chances are that many signs of ill-health would improve in this scenario. Others might appear over time, but perhaps not enough to offset benefits. No doubt the sugar intervention is the worst possible, but it is perhaps better than no intervention at all in this scenario. When people pay for sugar, it begins to replace other "luxury" foods even on an energy deficient diet; this is how it first entered working class cuisine. So it is paid for at first with decreased intake of protein and fat, later as intake increases it replaces some complex carbohydrate. Sugar also allows unscheduled feeding in ways no other food does, as preservative and appetite stimulant. So sugar has detrimental effects on the diet of poor populations which do not even depend on glucose/fructose metabolism or excess calories. I don’t remember the Kuna eating all that sugar when I visited them in 1963. Like other populations in the region, they drank their chocolate “black” the way some of us (the smart ones) drink coffee black. Not a sweet drink. They had plenty of food and it was all very good -- fresh and nutritious. I remember especially how beautifully healthy and happy the kids were. If only there were some way to keep the junk out of their world. But I suppose no one has the power to do that. thanks for sharing about health but i think people are getting phlebotomist Education. Do we know how long the Kuna have been eating all this white sugar? Tom A says it may not be all that long. Here's what Cleave says in The Saccharine Disease. We don't know how long the 'incubation period' for obesity might be. I suspect it's quite long, perhaps even two or more generations. "The broader point is that added sugar is part of a dietary pattern that also includes added fats, flavorings, refined and engineered foods in general". Carbs have been wrongly demonized. There are many traditional peoples subsisting on carbs and yet they remain lean, strong, and pretty free from disease. It is the kind of carbs that matter, not only the quantity. Nice article. It seems that in biology the exception to the rule is the rule. 15533250; PubMed Central PMCID: PMC538279. Metabolism. 2002 Jul;51(7):864-70. PubMed PMID: 12077732. "to the extent that one responds to these by reducing calories below maintenance low carbohydrate diets "work" for some for fat loss, at least temporarily, maybe permanently for some"
If you want discussion of "metabolic advantage" see Anthony Colpo. Which of the above increases the caloric density of your morning oatmeal more quickly? Which of the above increases the caloric density of the diet most quickly? yeah, comparing dehydrated, uncooked food to water-filled foods gives a really clear lesson. > Which of the above increases the caloric density of your morning oatmeal more quickly? I prefer my oats out in the garden. They never did anything to me -- why should I be so cruel as to grind them up and eat them? I would find it unthinkable. Shame on you, Don. Thank you Stephan for this interesting post! Yes, fat has a higher caloric density than sugar. 9 kcal/g compared to 4 kcal/g. Adding fat will add more calories, gram for gram, than adding sugar. Does this mean that adding fat is worse than adding sugar? For many people, satiety happens much sooner by adding a wholesome fat than a sweetener. Thus, the increase in calories over the whole day and the long-term is less. Adding both fat and sugar is generally a recipe for maximum caloric density AND intake because of palatability and reward effects. Adding butter adds many wonderful nutrients to a dish as well, whereas added sugar is nutritionally quite empty. The Kuna's metabolic health has nothing to do with plant protein. There is no evidence either way, at any rate. My experience aligns with Unknown/Chris. For me, satiety is key, and a starch-laden new-age hippie woo diet drives me to overeat. The lower caloric density of carbohydrate is irrelevant when it makes me voraciously hungry a couple hours later. Great post. I love a good sugar debate! The take-away in all of this is understanding that we'll never "pinpoint" what causes obesity because there is no singular cause to this phenomenon. It is a concerted symphony of intricate factors, many of which are under-studied, and many still unknown. So while it's always an interesting and lively debate, we can't get hung up on right or wrong because we don't know. As for the Hadza and Kuna cultures, I think we can't ignore the epigenetic effects of obesity. We have quite a few decades of our Western diet on these cultures, which puts us on completely different spectrums in the "continuum" of obesity. Children born to obese parents in our country today are at a higher risk of developing obesity themselves due to the inheritance of epigenetic mutations in addition to their environment. It will be interesting to see what the average BMI among the Kuna culture will be in 20-30 years. I just want to briefly point out that in contrast to what Peter said above, both the Hadza and the Kuna get most of their protein from animal sources, particularly the Hadza who have a relatively high intake of animal protein and a low intake of non-animal protein. The Kuna eat about as much total animal food as we do in the US, including 43 oz fish per week and 17 oz chicken and game. That's 5 lbs per week of meat per person! They also have a low-ish intake of fat but a high-ish intake of saturated fat from coconut and cocoa beans. This information is in the paper I cited. The Hadza diet is high in animal protein and therefore high in cholesterol as well, but is probably quite low in fat and also low in saturated fat. I also think that specialized adaptation might be a factor. I realize we share about 90% (probably more) of our DNA with all humans, but it is important to keep in mind that humans are all different. For example, the Inuit are adapted to eating an all-meat diet, the Paupa New Guineans a mostly all-carb, the Masaii can better metabolize high cholesterol levels, and so forth. So, perhaps-as Stephan noted in his posts about the Otzi and how we have made adaptations in the last 40,000 years, albeit not major ones- the historical eating lifestyle one has may predetermine (at least to some degree) what he or she is adapted to eating, metabolically speaking. This could explain why some people do better on less fat in their diets, some with lesser carbs, etc. Of course, with the mixing of people, genetics have crossed many boundaries so this is no hard-and-fast rule, but it at lest is plausible for certain groups to certain extents. Also, I have not looked into it, but this may be what "metabolic typing' is trying to get at, and maybe one of the reasons why the Kitavans, the Kuna can tolerate high carbs without the ill effects such as AGE damage-the have adapted to it while other groups might not have (if that is indeed the case with them). Stephan, I would love your thoughts and everyone else's on this matter. ok, good that you pointed this. I erronously had Kitava-style diet pattern in my mind. Anyways, I think HG folk should be our last resort when we want to make cases in regards to nutrition. Too much confounding elements, parasitic loads, genetical isolation, etc. Yes, I think that is an important factor. However, a small point I want to make about the Masai is that they are very unlikely to be specially adapted to dietary cholesterol because they are actually a genetically diverse population that has admixed considerably with neighboring agricultural tribes. Modern genetic analysis is confirming the speculations of Dr. Mann on this matter. For example, this paper in the journal Science showed that the Masai genome shows "extensive genetic introgression" with other nearby agricultural groups. This is partially because of their traditional habit of raiding nearby agricultural tribes for wives. When you take a Masai man off his traditional diet and put him on a cholesterol-free poor quality diet, his serum cholesterol skyrockets, suggesting that something besides dietary cholesterol and saturated fat is the decisive factor. I think you can get away with a lot more sugar intake if you are very active and athletic and burning a lot of glycogen/sugar daily. Plus those are all natural sources of sugar. I bet we'd be fine if we all ate only natural sources of sugar from birth. You can only eat so many (not many) apples before you feel satiated and wild berries tend to be low on the sugar side and a ton of work to collect in the wild. I am guessing they don't eat tons of honey. The local bees can only produce so much honey yearly and honey cannot be overharvested or you endanger your constant supply. PLus you have to fight the bees each time so people are not going to be snacking on honey daily. And all their sugar comes with nutrients. If you want to be just as active as them, I think that level of sugar IN NATURAL FOODS AND ASSUMING YOUR METABOLISM IS NOT DAMAGED is probably fine, but how many in the city are that active and in that condition? ALmost none, so better lay off all that sugar peoples! What is fine in one situation is often not fine in another, especially considering the unnatural sources of most of our sugar. "The key theme is a diet-pattern. The population you, Stephen addressed, derivived most of their protein from unrefined plants. This is diagonally opposite to the West (compare to WHI-trial where the "low-fat" intervention group ate 75-80% of their proteim from animals)." "Anyways, I think HG folk should be our last resort when we want to make cases in regards to nutrition." So in other words, HG folk should be our last resort to make a case when the data doesn't support Peter's viewpoint. But if it does, then he'll gladly use it to make a case. If the Kuna eat much the same "average" sugar intake that you in the US do, perhaps it is more evenly spread? If they tend to eat closer to the average amount, and there are fewer on sugar-free or sugar-binge diets, this might make a difference. There might be a statistical deception; if a few obese people are eating much more sugar than average, then the "average" sugar intake may have nothing to do with it. Also, I see no good reason to overturn Cleave's "20 year rule" at this stage. > HG folk should be our last resort to make a case when the data doesn't support Peter's viewpoint. But if it does, then he'll gladly use it to make a case. I was still curious to the effects of sugar on the Kuna, etc. and whether it leads to AGE-formation, if you could shed some light on that. My guess would be that either the AGEs are not that significant due to other dietary factors, or that the AGEs are present (in significant numbers-I think we all have some AGEs)but other micronutrients, etc. provide positive effects to offset the ill-effects. What would you say? 2) "In contrast to white-americans who have a limited maximal absorption capacity of 300mg of cholesterol, the Masai could absord more than 650mg cholesterol. Compared with the 25% suppression of synthesis found in white Americans, the Masai could suppress 50% of their endogenous cholesterol synthesis". "Cholesterol intakes were below 220 mg/day. Energy intakes were inadequate and were between 65% and 80% of the recommended daily intakes based on body weight, or 50% and 60% of the RDI based on age/physiological status. It is suggested that this is the reason why serum lipid levels are not high". All, in all an average Masai womean does not even consume cholesterol even a worth of a single egg per day. I think the Masai is a great example of how single-minded appeal-to-nature fallacy can lead us in dangerous conclusions, there's lot more variables to consider. "When you take a Masai man off his traditional diet and put him on a cholesterol-free poor quality diet, his serum cholesterol skyrockets, suggesting that something besides dietary cholesterol and saturated fat is the decisive factor. I personally welcome very much the debate over dietary and blood lipids, critical examination is always a good thing. However, if one's big idea over the lipid issue is hanging on few exotic HG tribes along with few pastoral tribes, the case is probably not too strong. You should read over the comment thread on the Otzi II post. We're in serious danger of recapitulating that discussion, not that I'm going to engage in it again. You seem bent on extracting the "plant positive" point of view from every primitive/HG population case study that Stephan or anyone else discusses. In the case of the Kuna, you were factually incorrect, plain and simple. Why should we re-hash the discussion we already had about the Masai and the Pacific Islanders? What bearing does it have on this interesting post about sugar and body-fatness? Re "genetic adaptations", these primitive tribes are not isolated cases, sugar consumption is consistently negatively associated with weight and BMI in epidemiological studies of western populations as well. That sugar has any detrimental role in the development of obesity is simply not supported by observational evidence anywhere. Pretty much confirms what you say about their diet, plus lots of great pictures. Now a days healthcare market is very developed. Sugar is not good for health. Healthcare market actually witnessing double growth in recent years. What do you think about Unger's idea that obesity is protective against other aspects of the metabolic syndrome? He says obesity-resistant mice get diabetes instead. If he's right, the negative association between sugar consumption and weight/BMI might mean, sugar is less able than fat to use this means of protection against diabetes. Any ideas about this? Stephan, Thanks for having the courage to address honey as well as fruits and berries, and the Hadza are one of the more interesting counters to the "sugar is sugar" (aka fruit=honey=sugar=fructose=poison) meme, with about half their diet coming from "sugary" foods, and well over half from "carbage." It seems like most hunter-gatherer societies that I've seen reports on that have access to good wild honey consider it their favorite food. It doesn't seem likely that the human race could have survived for millennia with one of its favorite foods being "poison." most stiumuli that constantly trigger a sense receptor are quickly, actively cancelled/dampened, either right at the receptor (some receptors for example work along the lines of piezo crystals, and only respond to deltas), or somewhere on the way to and sometimes including in the brain. I believe the olfactory bulb cancels some long-running signals after the receptor but before the spine. Still no response to the "inherent" thing huh? You tried (in vain) to minimize and sideline important work, important intellectual contributions to modern thought and the best you can do is completely ignore that part of the critique, or pretend that your completely non-responsive answers actually said anything. Your first answer was completely unresponsive to my criticism PLUS you tried to insult me by calling me insane. OK, the waaaaaaaaaaaaaaaambulance is on the way to your location now, Try(in vain) not to act like the robot on the stairs in "Robocop". Thanks for that john. You confirmed some of what I've suspected about you. I'd think I was one twisted, tortured turd if you thought I didn't have a problem. oh, yes ... MORE name calling please. Don't let me down john. > olfactory bulb cancels some long-running signals after the receptor but before the spine. hmmm... something tells me that's wrong ... the bulb connects directy to the brain. The signal, after being strong at the onset of a new smell is strong, but is soon attenuated in the bulb before being passed on. the most valuable observation in this post, and the one that came just before it, is that diet isn't the only thing that has changed dramatically over the last 30-50 years--you're just as likely to see a positive correlation with blue jean purchases and obesity as you are to see one with sugar consumption (or any other dietary shift). i often wonder if we don't become too myopic by assuming that the most obvious, common sense culprit--diet--must be behind obesity and metabolic syndrome, that we blind ourselves to other dramatic non-dietary changes that have occurred at the same time, that might be the real culprit--perhaps the problem isn't our diets per se, but something that makes our bodies unable to process and cope with our diets. there is no dietary villain that hasn't been absolved; all of our dietary villains are dress in confusing muti-colored coats--good here, evil there, neutral everywhere else. my own background is in medical anhtorpology--i have always been equally interested in both culture and biology, and especially how culture is the most profound factor in human health. civilization, meaning living in sedentary farming communities, has always had it's diseases--small pox and measles cannot exist without base populations of 250,000 people to sustain them. civilization could in fact be defined as living in a state of chronic disease--the diseases may change, but the state of disease never ceases. hunter-gatherers weren't plagued by plagues, and it wasn't just because they lacked the population density and close contact with animals. it also had to do with how there cultures mediated the social relationship to and between one another. when sugar is introduced into culture, such as the hadza, it isn't introduced in isolation, like the coke bottle falling from the sky in the god's must be crazy. it is introduced with a whole host of non-dietary cultural elements, the most profound of which is ever widening social inequality. depending on the culture, the introduction of western diets can range from the first time that material and status social inequality has existed in the culture, or it can simply magnify material and status inequalities. the lag in metabolic disease in these cultures, correlates much closer to the pace of social stratification, than to the increasing consumption of sugar. thus sugar consumption in the hadza, a fairly egalitarian culture, without marked differences in material wealth and social status, may take longer to manifest the diseases of affluence despite a marked consumption of sugar, while a culture that already had an iniquitous culture, may quickly succomb to metabolic disease that nearly perfectly mirrors the rise in sugar consumption--as was the case with the US. sugar consumption in a society perfectly correlates with that society's level of inequity (modern day america not only has the highest sugar consumption, but also the least equitable social distribution of material wealth and social mobility). the stress of social inequity makes all primates very ill--and all primates manifest that ill in the same way--increased fat, especially around the belly, heart disease, diabetes, depression, etc. i haven't done it yet, but i would imagine that decreases in height in the US, mirror the increases in girth--height is one of the most sensitive detectors of social inequity. my guess is that the real culprit is cortisol, which is released most markedly in response to social threats to self-esteem. but the thing about human diets is that they are as varied as human cultures, and most work pretty well, as long as the underlying cutlture is healthy--the diet of 18th century amercians was not healthy, it was devoid of omega 3, very low on vitamen c, southerners were plagued by pellagra, notherns were plagued by rickets, but over all healthy was not so bad--we were tall and in much better shape than euopeans at the time--whose diets where about the same. the difference wasn't what we ate, but how we lived--europe was a den of inquity, the US was a bastion of equality (materially sepaking, this was very true--the differences between rich and poor in the US we much less than in europe at the time, and much, much less then they are now here). what we know about diet now, allows us to craft diets for optimal health, but that will not be achieved, if we are drowning in cortisol. think of metabolic disease it the same way you would cancer or cholera, to cure cancer, you have to kill it and/or remove it. to cure cholera, you have to clean up the source of the bad water. to cure metabolic disese, you have to find and remove the element that has stripped the metabolism of it's ability to process foods correctly--i don't believe that that is predominently caused by what goes into our mouths, but it maybe be exacerbated by it (some foods may create a non-virtuous cortisol loop, but until you fix the underlying cortisol malfunction, you won't stop metabolic disease). Sanjeev, you seem to have missed the fact that my comment is a response to Don's. He's the one who chose to compare cola and sugar to cream and coconut oil to show which foods "increase the caloric density of the diet most quickly," which is thus why I'm comparing "water-filled" cola to other foods precisely to suggest that his comparison is fatuous. i.e. cola (being water-filled) increases the caloric density of the diet slowly, but rarely held to be slimming. Just to make it explicit, though it should already be obvious, I'm not arguing for judging foods based on Don's measure, I'm arguing against it. (Unless you think I was actually suggesting drinking cola for weight loss). Your point about dry oatmeal versus wet oatmeal is an exemplar of the same point. According to the caloric density measure, plain dry oats are much more fattening than oats boiled into a tasty, easy to eat porridge. I've heard that the Amish have a lot of sugar and fat in their diet, and large quantities of both were part of the American diet long before obesity became so common. Perhaps physical activity is more important. The Amish walk a lot, and so did most Americans 80 years ago. To everyone advocating genetic differences, there have been many documented cases of subjects who ate a traditional diet switching to a typical american diet. In all cases they tend to develop obesity and Metabolic Syndrome faster than their western counterparts. We westerners are the most adapted to our diet, and no prior epigenetic background can save a population from the "diseases of affluence". It is also known that chronic hyperinsulinemia can sussit in subjects with very low body fat and even cause diabetes type 2 in vulnerable ones. It should be ultimately clear to the commenters of this blog that no macronutrient ratio can explain "diseases of affluence" as much as overeating, sedentarism(or perhaps just the lack of short-duration intense anaerobic exercise) and nutrient-poor diets can. I am personally betting on the latter for the main cause, as refined carbohydrates may not be damaging per se, while their stimulation of metabolism without adequate nutrients (or even with added anti-nutrients) causes the organism to store energy and causing obesity. I believe we live in an age of "wealthy malnutrition", in which to an abundance of all the basic macronutrients is sided a widespread deficiency or disproportion of many micronutrients, hard to acquire and rebalance without accurate dietary choices and specific supplementation due to processing, soil deprivation, etc. Health is virtually a no-brainer for cultures living on traditional diets, while it seems so maddeningly complicated for us. It is obvious to me that it is because we struggle to repair the damage already done to our health while misdirected by the staggering complexity of the human organism. I think many tend to believe that just emulating an "ideal" diet and lifestyle, proven to be so by science, would guarantee their health, but many times what they actually need is special means to recover from the damage already done. Once recovery is obtained, a healthy diet should then become a no-brainer for us as well. Unprocessed foods, active lifestyle and specific supplementation when deficient. All things we already know. Nutrition Tracker Lose weight fast with easy to follow diet and exercise plans that will have you slim in no time, plus simple tips to help you shed your belly quickly.